CESA is proud to host this annual event, as a platform to showcase the important role that infrastructure plays in the sustainable development and delivery of basic services to society. By designing state of the art infrastructure that stands that test of time, the Awards unequivocally pronounce that engineers are front-end enablers of service delivery. The Awards focus on consulting engineers and their clients who participate in or initiate projects that promote the advancement of our nation and the people of the continent. 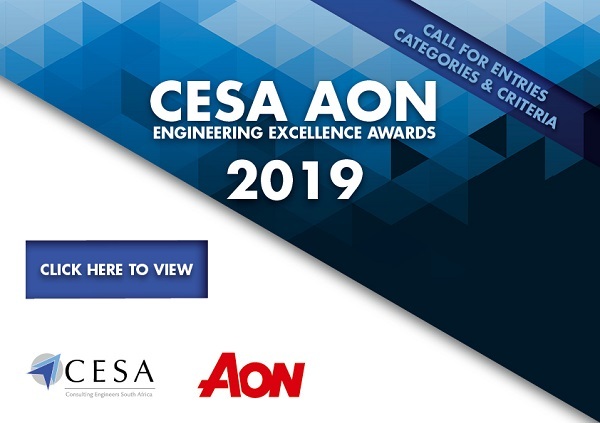 CESA recognises contributions of Young Professionals to the engineering profession and initiatives to transform and sustain the future - mentoring and job shadowing.